Welcome back to another episode of our draft podcast! We are just days away from the 2018 NFL Draft! This week, Dirty Dietz and Vito team up as the GMs of the Buffalo Bills to make picks that hopefully will have people jumping through tables in joy, while Nick controls the rest of the league. After that, we discuss some draft prop bets, our plans for the draft, and what to expect from us going forward. It’s been a lot of fun talking draft and all, but the anticipation is killing us now. Hope you have enjoyed and continue to stick around for NHL draft talk. Please subscribe, rate, and review us on itunes or your podcast platform of choice. 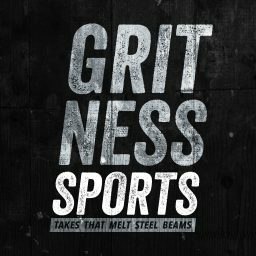 Just search “The Gritcast by Gritness Sports” to get both The Gritcast and Drinking and Mocking. We also would love to hear from you on Twitter and Instagram. Now bring on the draft!